Currently CA, FL, KY, MD, ME, MN, NC, NM, NV, OR, RI, and SC are facing challenges with the interpretation and enforcement of radiation laws limiting the scope of practice for RCIS and CVT grads despite these graduates receiveing adequate training in radiation physics and safety specifically focused on the use of fluoroscopy. We are asking these states to support the graduates of CAAHEP Accredited Invasive Cardiovascular Technology Programs (Cardiovascular Technologists) and the Credential of Registered Cardiovascular Invasive Specialist (RCIS) as the minimum training required for providing safe patient care in the cardiac cath lab and allow the RCIS to operate the cath lab x-ray system under the supervision of the cardiologist. Public Safety is at risk if the individuals working in the cardiac cath lab do not possess either an education from an accredited invasive cardiovascular program or the RCIS credential to prove their ability to care specifically for the invasive cardiovascular patient population. Graduation from an accredited invasive program and/or the RCIS credential ensures that the cath lab team has acquired specialized education and a unique set of skills to provide safe patient care in the invasive cardiovascular lab setting. Graduates and/or RCIS credentialed individuals are trained in all aspects of the invasive cardiovascular procedure. 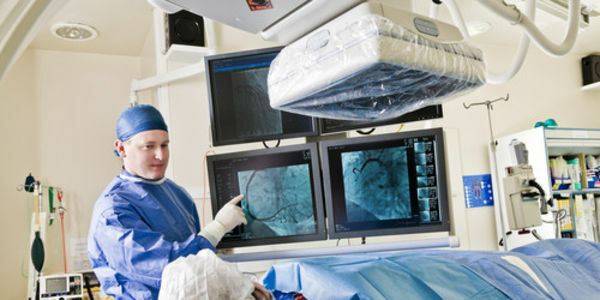 Every individual who is employed in the cardiac cath lab must meet minimum educational requirements and minimum clinical hours to perform in this unique and specialized environment. The individuals who possess this specialized training (CVT graduates and the RCIS) are being blocked from gaining employment or even being removed from their positions due to state laws and regulations. Please see the educational differences below between the three credentials that are commonly employed in a cardiac cath lab and note the differences. Contact SICP at director@sicp.com / 919-861-4546 with questions or requests for additional information.